Beverly Critcher, founder of Wildlife Experience, Inc. began her dedication to wildlife conservation while witnessing first hand the devastating effects the Exxon Valdez Oil Spill had on wildlife and the environment while living in Alaska in 1989. Since then, she has been determined to help with wildlife conservation in any way she could and over the past 25 years has devoted her efforts to do just that. Understanding that wildlife education is an extremely important component to any wildlife conservation effort, while teaching (and also an alumnus) at the Exotic Animal Training & Management Program at Moorpark College, she designed and developed a Wildlife Conservation class that became part of the programs CORE curriculum for graduates of the E.A.T.M. program. 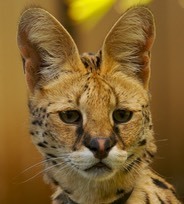 She restructured the program’s public wildlife shows to incorporate and highlight Conservation Action projects affiliated with the plight of the show's animal species to encourage public action for those species in the wild. 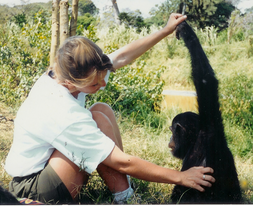 In 1998, after helping to design wildlife education programming for the Moholoholo Rehab Center in South Africa, she arrived in Uganda to aid in the development of the Uganda Wildlife Education Centre and fell in love with the country, its rich diversity of wildlife and its people! The next year Wildlife Experience was founded with the help of her husband Bruce Raymond and her friend Gary Wilson, professor and past Director of the E.A.T.M. program and America's Teaching Zoo. 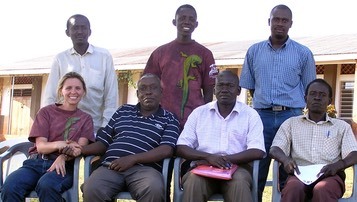 Believing that conservation projects must be led by the people who are most affected by the decline of a habitat or species, over the next 20 years Wildlife Experience began to guide and support local Ugandan communities in THEIR efforts to start conservation projects in their local areas. The shrinking patches of forests in the Masindi district of Uganda, which were previously part of one of the largest forested habitats in the country, the Budongo forest, is where Wildlife Experience mostly concentrated. These small patches of forests house a great amount of biodiversity for their size and in some patches are home to very small communities of chimpanzees. Projects such as Collaborative Forest Management programs, Trail Marking & Census, Reforestation Projects, Boundary Marking, Wildlife Education Outreach Programming, "Chimps in our Forest" education programs, African Grey Parrot Rehabilitation & Release and Ecological Radio Programming are just some areas of their collaborative efforts. 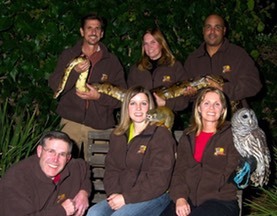 Over the years Beverly has worked with 100's of species of animals and Wildlife Experience has partnered or been a consultant to organizations that have active conservation projects and goals which are similar to Wildlife Experiences. These include Nature Conservation Promotion Association-Uganda, The Jane Goodall Institute - Uganda, Ngamba Island Chimpanzee Sanctuary, Uganda Wildlife Education Centre, Moholoholo Rehabilitation Centre-South Africa, Paso Pacifico-Nicaragua and Natural Encounters, Inc., Florida. 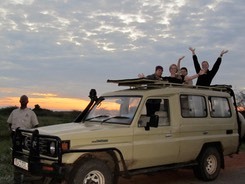 Our Safaris give Wildlife Experience yet another opportunity to connect people to the extraordinary wonderment of nature. Our years of knowledge and experience in Uganda enables us to provide a safari with insights into one of the most diverse ecological countries in all of Africa. Each year our commitment deepens as we continue to explore new paths to contribute to wildlife conservation and the future of our natural world.